Dreaming of becoming the next big hit in the fashion industry is one thing; making it happen is another entirely. More than having a keen eye for fashion and the creativity to develop new product lines the public will clamor over, it is also important to navigate the business side and ensure that your line is able to take off. Building relationships with industry professionals, as well as the best fashion staffing agencies in NYC, will also help you expand your network and get a foot in the door when you have finished your degree. For those finishing their MBA and looking to break into the industry, keeping the following tips in mind when setting out to start your own company will allow you to make the most out of every opportunity to succeed along the way. 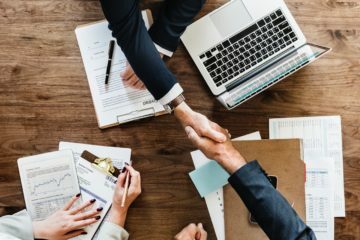 What Do You Need to Know about the Industry? Familiarizing yourself with the industry is the most important step as you begin your journey. Once you have decided the fashion field that you want to join, such as menswear or clothing for children, you will need to understand various trends that are emerging. In addition, knowing the market as a whole and what consumers are looking for will go a long way toward your success as a professional. Not only will this information help you develop your business and product line, it will also allow you to demonstrate to potential buyers and partners that you have the knowledge and drive to take things to the next level. 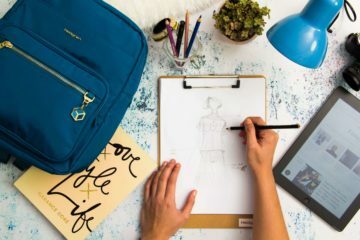 As an MBA, it can be difficult to break into the fashion industry, especially for those working outside of the design realm. Having an interest in fashion is important, but truly knowing how to translate your skills into a new role in the industry will make or break your transition. Stay on top of the major players and changes across the industry to build your status as an expert. Doing so will enable you to make connections with those already in the industry and put you a step ahead of others hoping to get a foot in the door. Since the fashion industry continues to evolve – expanding into new markets, shifting style trends, and developing new methods of doing business – a healthy obsession is needed in order to be successful. As fashion designers establish themselves, they can turn to MBAs for assistance in building sustainable businesses. 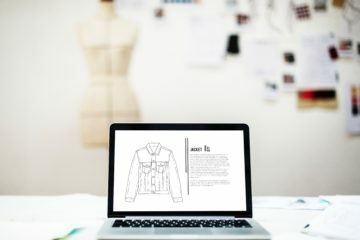 According to Financial Times, the British Fashion Council is hoping to attract MBAs to work with younger designers in order to grow the industry by adding the business sense needed to get a startup off the ground. With this knowledge, you will be able to make connections and grow relationships that are mutually beneficial. The relationships you make with professors, designers, and industry professionals are paramount. The fashion industry is driven by its vast network of individuals and experts, meaning it is important to meet with people involved in every facet of the industry. From merchandisers, to suppliers, to marketers, to designers, building relationships gives you the information you need to pursue your fashion business, while also cultivating contacts that can introduce you to opportunities down the road. According to TOPMBA, developing friendships and working relationships will be one of the most important factors in advancing your career within fashion management. Relationships with fashion insiders are not only important to help you climb the ranks, they also help you establish your credibility. With a business background, you understand the nuances that go into building a successful operation. Making the effort to understand the creative side of fashion allows you to articulate your skills and knowledge to potential employers and future business partners. Connecting with those who share your passion for the industry gives you an edge over other job candidates. The reason you need to start developing relationships with everyone you can is that it will give you the insight you need when you venture off on your own. When you start your career in fashion management by being placed by one of the best fashion staffing agencies in NYC, having a wealth of knowledge in your arsenal makes it possible to climb the ranks or develop a thorough plan for your own business. The first step toward breaking into fashion management is to complete your MBA. After doing so, getting your first job in the industry can take a lot of work. In addition to meeting with potential employers, and putting in hard work and determination, getting your start is difficult. The best way to hone your skills and build up the experience you need to get noticed by the top firms is to land an internship with a smaller company. While it is tempting to want to intern at a global brand in order to put its name on your resume, the experience you get with a smaller organization can pay dividends. An internship with an organization that allows you to see all sides of the business is more beneficial, in the long run, than one where you are segmented into a specific department or are unable to actively learn from the professionals around you. Getting the most out of your internship and developing your skills can also lead you to a job opportunity once it is complete. As you look for a position in fashion management, connecting with a staffing agency in the city where you want to work gives you an excellent chance to use your knowledge, skills, and contacts to your advantage. In addition to learning about all sides of the fashion industry and gaining experience in management, these opportunities prepare you for the rest of your career. By working with The Fashion Network, one of the best fashion staffing agencies in NYC, MBAs can submit their resume and get assistance in landing their dream job within the fashion industry. To get more information on job openings and how you can turn your MBA into a successful career in the fashion industry, contact The Fashion Network today at 212-575-5898.